It's not just a boiler - it's a complete heating system upgrade, with just a £1 set up fee, our Christmas offer is valid until January 2019. Our A+ systems give you the best possible saving. £99 is all you pay to get your brand new A+ heating system delivered and installed. We even take away your old boiler and dispose of it in an environmentally-friendly way. Our A+ heating system will cut between 39% and 52% of your current heating bill. That’s twice as much as even the best combi boiler. Our A+ system ensures you save the most possible and it comes with a 10-year warranty. After the initial £99, you then pay £39 a month (or £42, depending on the size of boiler you choose) for 7 years. 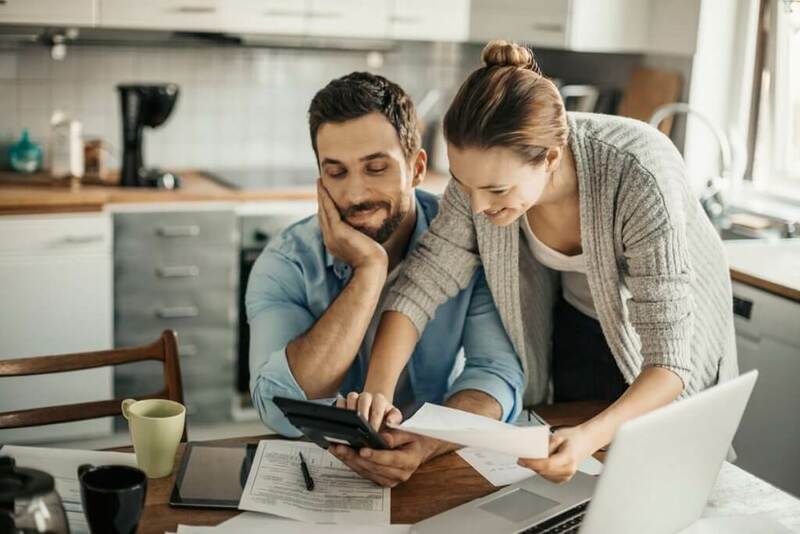 There’s no small-print, no interest, no hidden costs; and with the savings you make on your bills, the new boiler + heating system will pay for itself. The hassle-free utility bill killer! We have the best package on the market. An A+ system that ensures you the biggest saving possible. How we do that? Each part of our package helps you save a little. These little pieces could add up to a 39%-52% saving but we have experienced an average of 45-50% for most households. What percentage (min-max) of saving does each part provide? To present the saving from our system approach, one applies percentage calculations, thus the result is lower than from simple addition. At first sight there are many great offers around. But many of these “great offers” don’t include all the items you need for a true boiler refit. So you can often end up paying way more than you expect. You need to consider all the little extras – the installation, the cost of removing your old boiler, the cost of the warranty…the list goes on. Our engineers have studied hundreds of boilers. We have chosen the best money can buy. Not only that: our package includes all the extra components and services. With us, what you see is what you get. With us, there is NO interest and NO small print. With us, you just get the best possible boiler at the best possible price. 1. 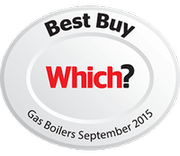 We simply offer the best boiler. 2. But a new boiler alone is not enough. Our extras ensure you save the most possible. The difference is HUGE. 3. We offer an A+ rating package, which is the best at this moment. 4. You will probably save more than the monthyl costs. Actually the package pays for itself. You might even have some spare left at the end of the month and be in profit. 5. You get a 10 year warranty. Absolutley hassle-free. 6. All you need to do is to apply. We take care of everything else, including the installation. It’s time to enjoy a warm home! “I heard about Verdabelo from a friend and as my existing boiler was 10 years old and neither efficient nor green I decided it was time to replace it. Hopefully, the new one will pay for itself and the really good thing is it won’t be pumping out the ghastly emissions like my old one. 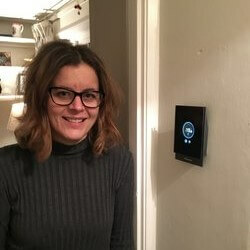 “The great thing is that the switch to Verdabelo means that I am not just saving money but I’m actually in profit.”Victorian house, it wasn’t designed to be heat efficient so this should help enormously in that regard. As a midwife I work shifts, some days, some nights – I’m working a night shift at Christmas – so whatever the weather or whatever time I get home the house is lovely and cosy. And of course we can control the temperature and on/off times remotely. Tell your friends and get £50! Every time someone applies to us for a new boiler, uses your unique code, and after the new boiler is successfully installed, we will send you a cheque for £50 or – if you are a client of ours – we will deduct £50 from your outstanding loan. Even better, the person introduced by you will get a £10 gift voucher from Marks & Spencer! Simple – because it’s hassle-free and saves you money. We do all the work for you. To start the ball rolling all you need to do is fill in a simple form. There’s no commitment from you and you can change your mind. We have our own tried and tested installers, who give a polite and professional service. You don’t have the risk of trying to find an honest and reliable installer – our installers are the best there are. The typical cost of a new domestic boiler is approximately £3,000 to £5,000. That’s a big chunk of cash for people to find in one lump. That’s one reason people don’t bother changing their boiler… until it packs up. VB-Boiler keeps the cost to you as low as possible. And your payments are staggered. Even more important – with an efficient new Worcester Bosch boiler, your gas usage will plunge – and your gas bills could drop by as much as 50%. 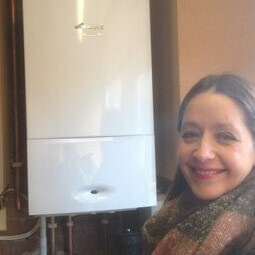 A new boiler – a warmer home and all the hot water you want – plus lower gas bills. It’s a no-brainer. And don’t forget the environment. By installing one of our boilers you will help save the planet. Our boilers mean that you will reduce carbon emissions by as much as 2.5 tonnes a year. Our package gives you the biggest saving there is. VB Boiler’s heating upgrade is not only an “A” system it’s already an “A+”. You just simply can’t get much better than this. Verdabelo ESCO Ltd is authorised and regulated by the Financial Conduct Authority (No.710737). 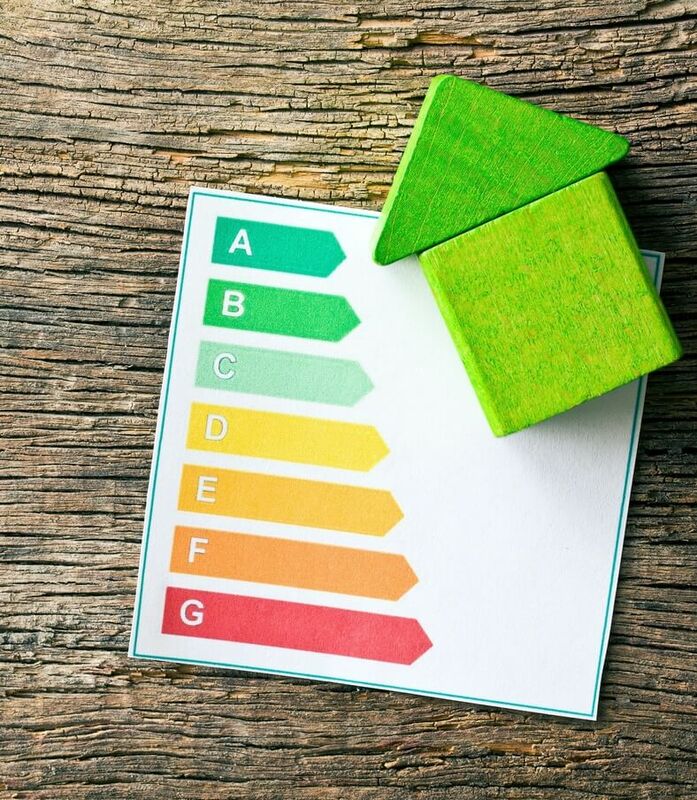 Verdabelo ESCO is an energy saving company that offers householders self-financing energy saving heating solutions with little up-front cost but long-term cash and energy savings.